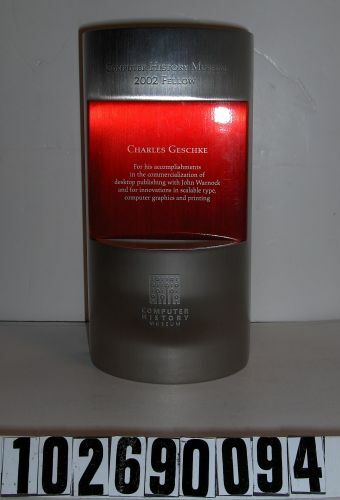 The recipient of this award was "CHARLES GESCHKE", which is printed on the front. 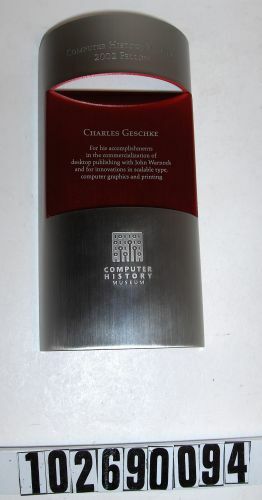 Printed on the front is "For his accomplishments in the commercialization of desktop publishing with John Warnock and for innovations in scalable type, computer graphics and printing". Also printed on the front is "COMPUTER HISTORY MUSEUM".